These sessions addresses basic leadership skills and allows for focus on specific behavior issues. Owners learn the “rules of dogs” first then specific solutions for each unique problem. The owner them implements the solutions into everyday life. Two weeks after the initial session, DogWisdom provides a progress check to observe the dog/owner relationship and, if needed, give any further direction on the problems covered or any additional concerns the owner may have. Remember being able to pick your own schedule in school? Our General Obedience option offers a more flexible one-on-one approach by allowing you to schedule four private sessions that cover obedience commands like sit, down, stay, loose leash walking, come and stay. This session will even teach you how to get your dog to “Chill” in a place of your choosing on your command! A great tool when trying to answer the door, bring your groceries inside or anytime you need your pet to “Chill” for a minute. A specific session addressing potty training and related issues lasting approximately 1 hour, this session also addresses crate training/placement, sleeping accommodations and outside trigger behaviors. DogWisdom specializes in underground fencing solutions. All systems are custom designed with your specific boundaries and landscape in mind. Not only is it effective for containing pets, but can also help keep them out of places they shouldn’t be, like... Learn more or call 314-494-9808. If your needing additional assistance please do not hesitate to ask. 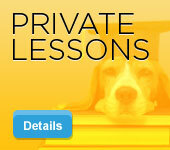 DogWisdom offer competitive pricing with real results. Give us a call and we’ll show you how.